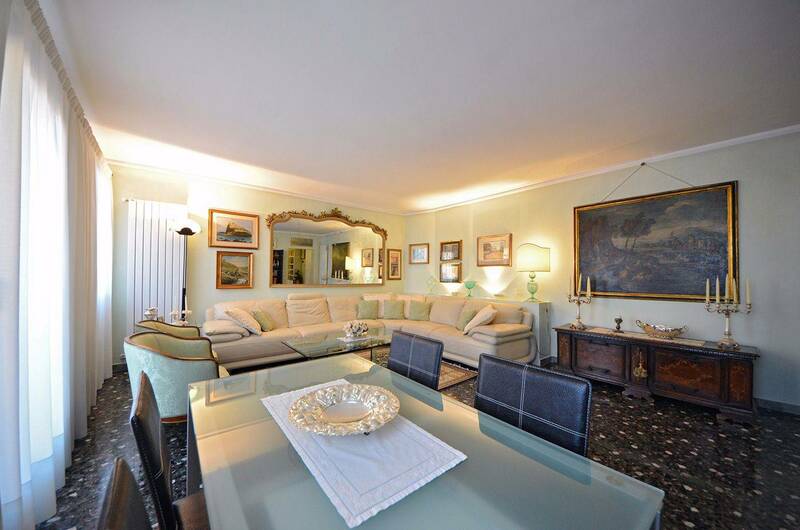 Probably the best in its price range, the San Felice Terrace is a sophisticated 3rd floor apartment located only few minutes walk to the Rialto Bridge and the renowned Cà D'Oro Palace, in the eastern side of the authentic Cannaregio District. Here you can find some of the best local restaurants, such as La Vedova and Vini da Gigio which is literally next door, and every sort of shop along Strada Nuova. 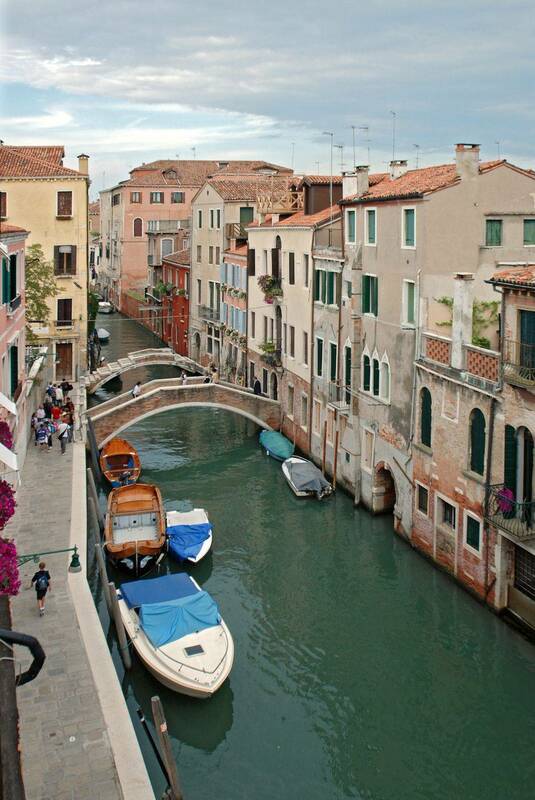 The supermarket is just around the corner, while the Rialto Market is across the Grand Canal. The landlord actually lives here during part of the year, taking great care of its elegant and comfortable house. It has been recently restored and equipped with every possible appliance, ranging from air-con and Wi-Fi internet connection to the Nespresso coffee machine found in the super-professional kitchen. It is important to keep in mind that as the landlord offers you an immaculate home, he expects you to look after the house in the same way he does, therefore who rents it has a great responsibility. The San Felice is composed of a large and sunny living room with a big sofa and a dining table that gives access to the canal view terrace, large enough to organize a romantic candle light dinner; the kitchen is spacious and functional with a table for four people; before the master bedroom there is a room used as office and wardrobe, beside being used as a third bedroom when there is a 5th person; the second bedroom is as spacious as the master bedroom, both have king size beds; the main bathroom has a bathtub, the second has a shower, both are of very high standard; on the back of the house there is a large terrace that can be used as a sun deck; the large central corridor is a welcoming entrance. Over all this is one of the best high-end housing solutions found in the entire Truly Venice portfolio for location, amenities, size and most importantly price. The only downside is the delicacy of the furniture which requires a great deal of attention from the guests. In fact no pets and no children are welcome. We have stayed in this apartment before. 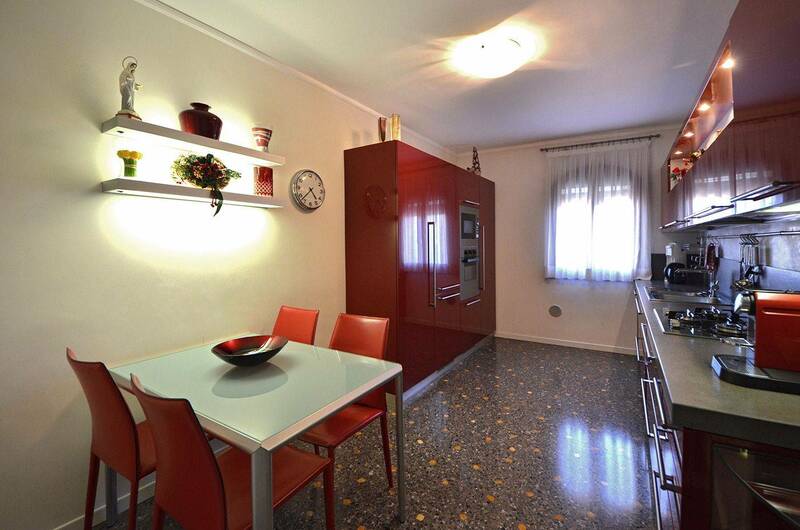 It is situated on the top floor of a house on a quiet Fondamente in Cannaregio. The apartment is very tastefully decorated. It has a very elegant drawing room, two very good sized bedrooms, two terraces, a very well appointed and well equipped kitchen. It is a short walk and traghetto ride to the Rialto markets. Highly recommended. The location was perfect for us. 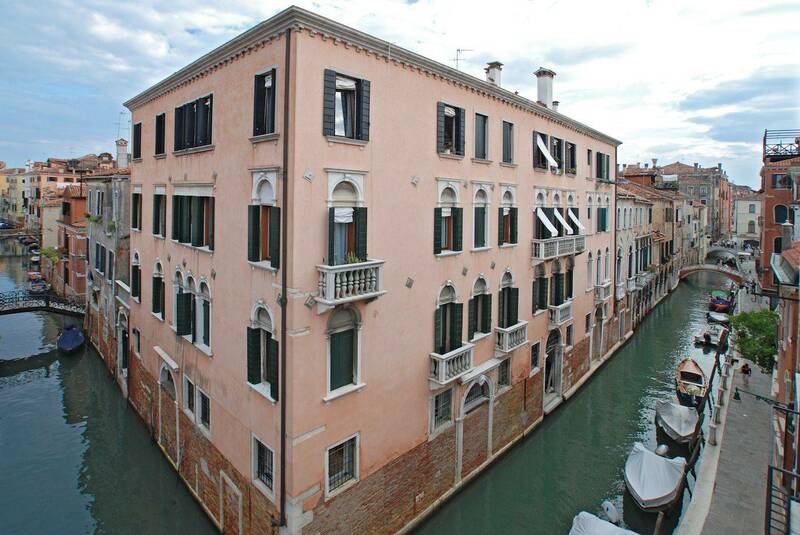 Quiet but easy access to the Grand Canal and to excellent restaurants and bars. The apartment was beautiful, well equipped, had two lovely balconies and a large very comfortable sitting room. 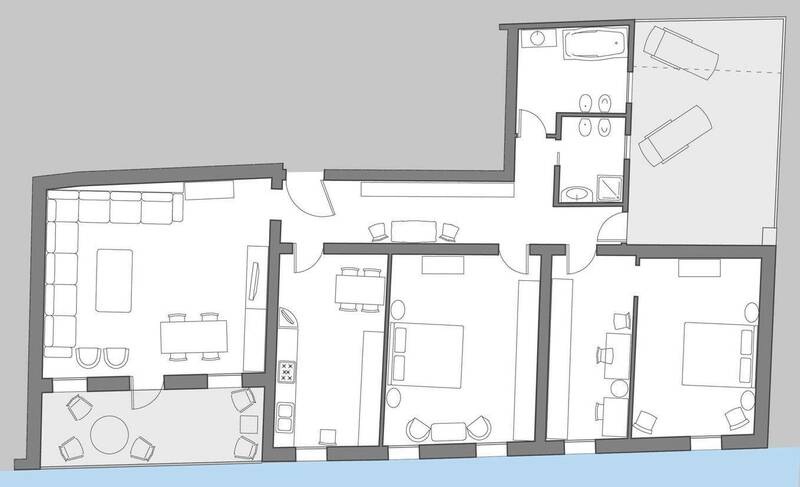 Both double bedrooms were equivalent sizes and ideal for 2 couples. We couldn't fault it at all! 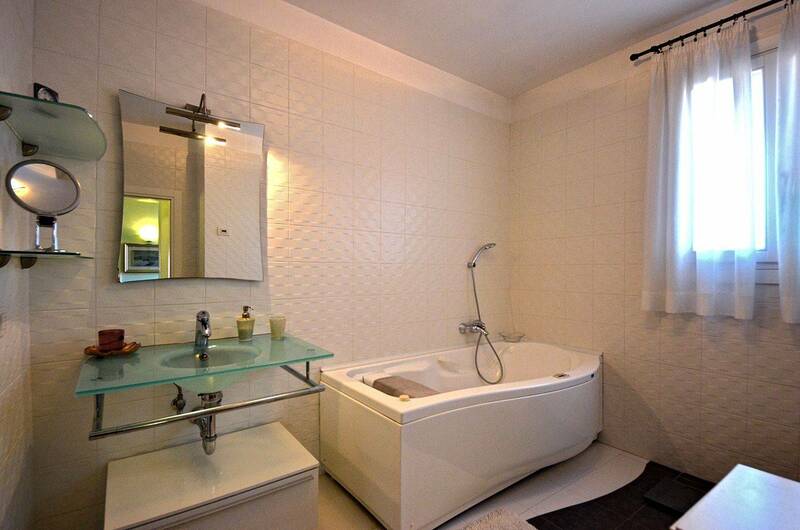 This apartment is located just meters from a busy Main Street but you would never know it . You are living like a local here and it is very quiet for Venice. You can get to everything really quickly and there is a water bus stop near by. The apartment has a balcony overlooking 2 canals that gets sun all day and a large terrace at the side with sun in the morning .... such a bonus and rare in Venice . The apartment has everything you would need, we didn’t need to buy a thing even down to kitchen roll and toiletries . The property is in a great state of repair and is obviously a much loved home . It is spotless and well cared for , one of the best we have visited . Four of us stayed 9 nights in this elegant apartment. From the moment we walked in we were impressed. The decor, the spaciousness, the amenities, and especially the access to two outdoor terraces made this apartment perfect. We spent many evenings watching the gondolas go by in the canal below us. A short walk to the Rialto, San Marco and the markets was ideal. At the corner of our street was a large supermarket to pick up things for dinner or breakfast. There was not one thing we were missing and indeed San Felice Terrace exceeded all our expectations. We even got used to the three fights of stairs! Second stay - just as good as the first! The apartment could not be in a better location - at the intersection of two canals. All the better to view from the balcony. Beautifully appointed two bedroom apartment has is completely updated all the functionality anyone could want to go with oodles of charm. We are looking forward to our third stay! 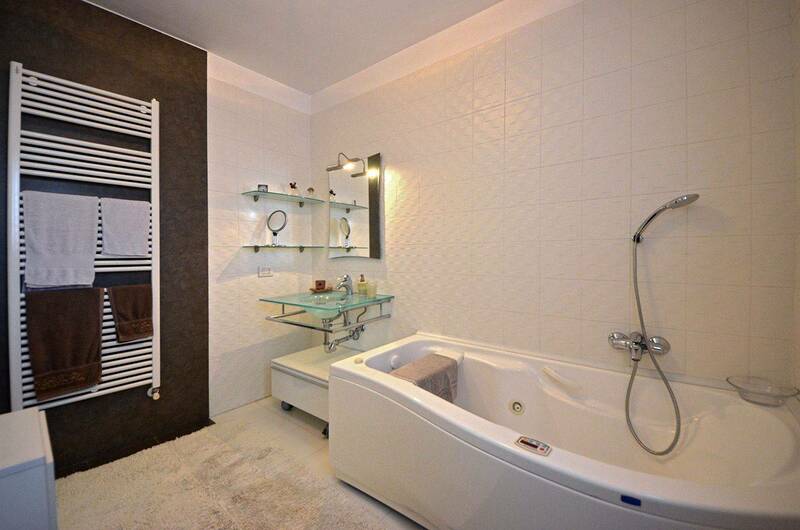 Amazing location, close to bars restaurants and shops. 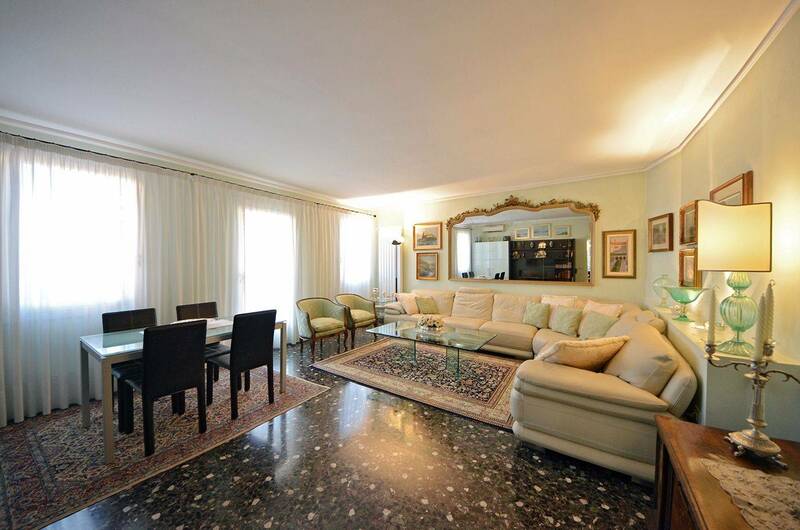 The San Felice Terrace apartment is well furnished to a high standard with large comfy sofas. It has a well equipped kitchen, an outside terrace, a washing machine and tumble drier and lines for hanging out washing. We were left a nice welcome pack which is always a bonus if you arrive late. The apartment is beautiful , clean, and beds very comfy. Its is only a 5 min walk to get a water bus. Would definitely stay here again . It is on the third floor and there are no lifts however the guide carried one of our cases up the stairs for us. 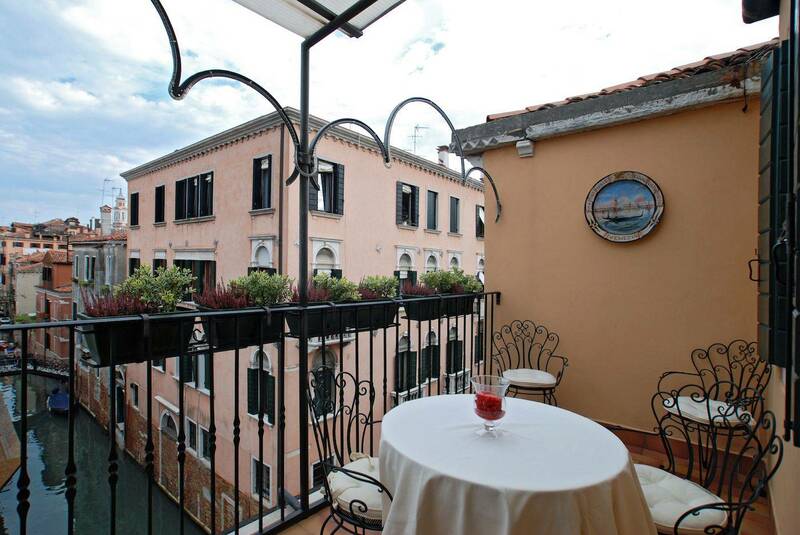 San Felice Terrace is the perfect hideaway in the middle of Venice. With amazing, canal views from the terrace, authentic venetian floors, comfortable beds with duvets and the wonderful touch of a Nespresso machine (with the capsules), it is better than home. 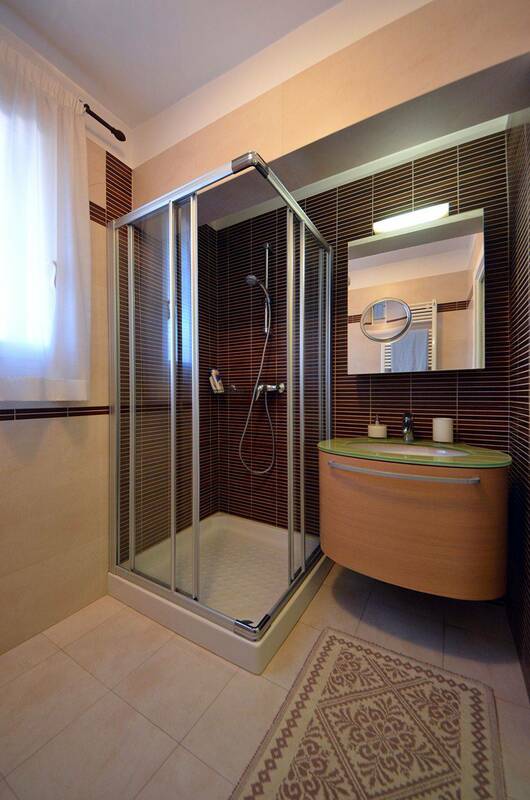 I have never stayed in a rental property that was so clean, and well stocked. Dish tablets, detergents, even a bottle of bubbly to start your holiday. The location of the apartment is great, just on a quiet, side canal, but around the corner from the Coop grocery store, and many restaurants, bars, and shops. When you arrive someone greets you at the dock, shows you to the apartment, explains all the features, and then explains on a map where the key points of interest are along with the location of many shops and some great non-touristy restaurant recommendations. Daniela, at Truly Venice is a delight to work with, and even though we had to leave early due to a death in the family, she continued to assist us even upon our return home. I would definitely recommend this fantastic apartment to anyone looking for 5 star quality and service. We stayed in the San Felice Terrace apartment for 5 weeks, from November to January, and it is no exaggeration to describe it as a wonderful place. For a visit of that length, we were looking for a home and a place to work from, not just a rental apartment, and we found it. 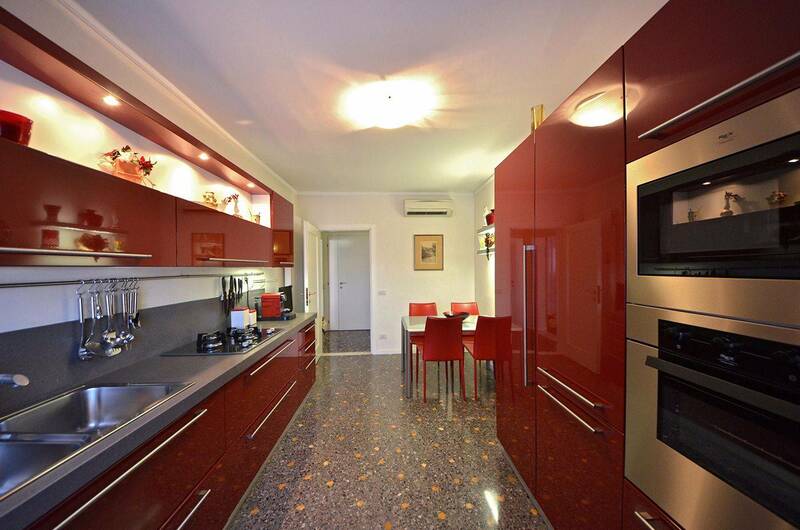 The apartment has everything you need to live, to cook, to entertain and to enjoy Venice. 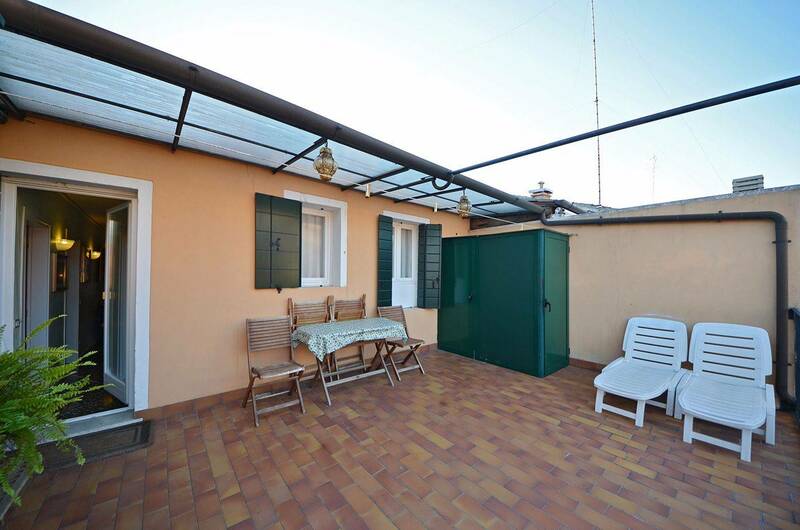 It is ideally located, just 10 minutes from Rialto, and the front terrace catches the morning sun rising over the rooftops of Venice each morning - an event that we never really got used to. The wonderful representative provided everything that we needed. The service from booking to departure was excellent and reliable. It is hard to conceive staying anywhere else in the Venice in the future. 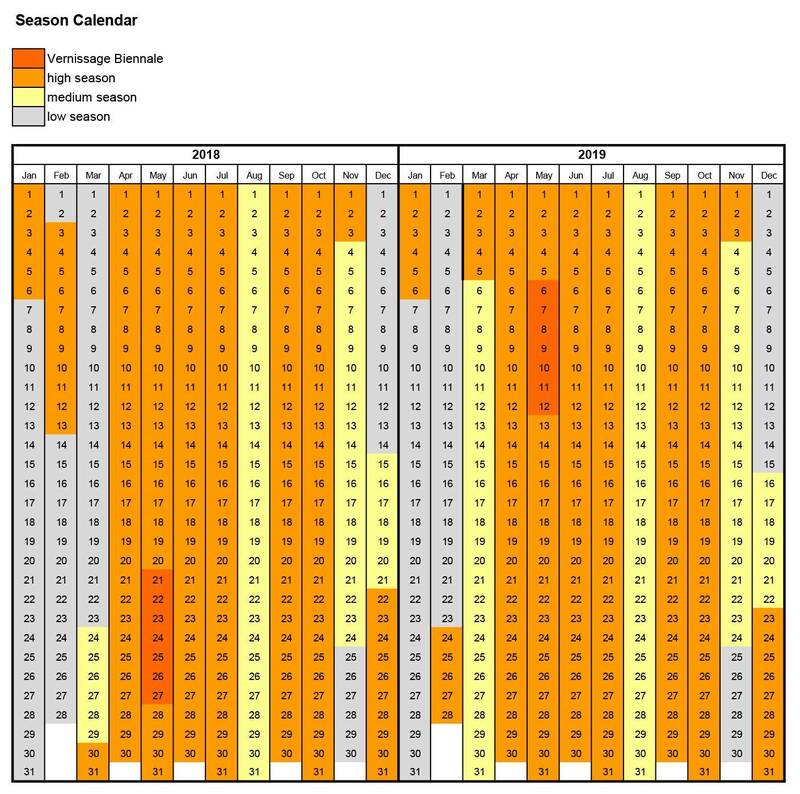 So, please, do not follow up on this reference too keenly, otherwise we will not be able to return. Fabulous apartment - great value and great location! 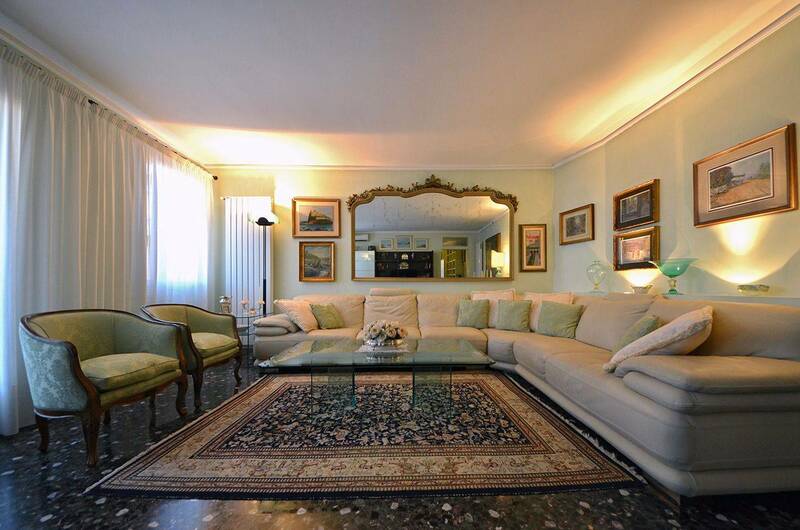 Fabulous apartment - spacious and clean with beautiful art works, venetian glass and other furnishings. The kitchen is great - well stocked with everything you need, two sparkling bathrooms and two comfortable and relaxing bedrooms. The terrace opening from the living room has a lovely canal view and the rear terrace is a super sun-trap and great for drying washing! Booking process was easy and we were met as arranged by a representative who took us to the apartment and explained everything we needed to know. Plenty of restaurants nearby and a supermarket just around the corner. Really quiet at night so good sleep guaranteed. Excellent quality and value - thoroughly recommended. Another amazing holiday in San Felice terrace Our second visit to this apartment - we were not disappointed - it is so comfortable and has so many extras. The unusual antiques and decor are fascinating. 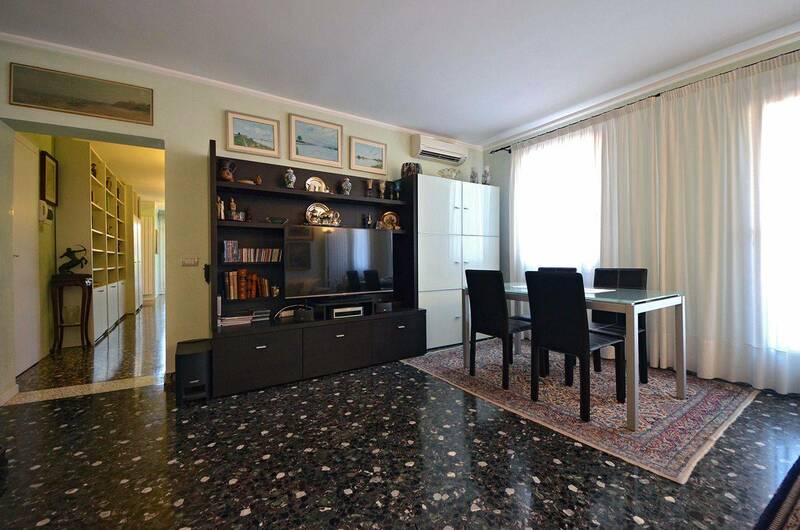 The location is perfect - just off the grand canal for closeness to the sites and the wonderful Rialto fish market and away from the mayhem and noise of august tourist season. Best meal was at Poste Vecchio in Rialto - highly recommended to everyone - an Italian resident told us about it years ago and it never disappoints. The art Biennale was amazing - just go and have an adventure - could be life changing if you have an open mind to modern art. Hated the long queues in San Marco. Loved Serge Baldino's mask shop near Rialto - such a genuine and creative man - don't buy masks from anywhere else. "The most perfect vacation apartment" We stayed in this fantastic apartment for one week in July. It is simply the best apartment we have rented in Europe. The location is very central, not right in the middle of the noise and traffic but very close to the best sights and some of the best food in Venice. The photos and description don't do it justice (and they make it look wonderful). The kitchen was fantastic, laundry facilities were great, bathrooms were perfect and the terrace. The apartment is stocked with everything one needs to live and cook there. Not like some apartments that only have the bare essentials. Less than a block from the market, ATM, gelato, and more. We spent every morning on the terrace watching the canal traffic. I would return to Venice and this apartment in a minute. We booked a private water taxi so getting to the apartment from the airport was a snap. Excellent! This apartment exceeded our expectations and is more beautiful in person. The location was perfect! We would request the same apartment if we are able to return! It was more expensive than we were looking for but we're glad we stayed there! The view is amazing! 2 balconies! Felt like a local! We could not have asked for a nicer place to celebrate a milestone birthday and anniversary! The apartment was exactly as the pictures and included all sorts of "extras" in the kitchen that we didn't expect but came in handy (spices, etc.) It was located down a quiet street/canal but also just a block or two away from a main street with large grocery store, many restaurants, the Grand Canal, etc. Everything was easy to walk to. The apartment itself was beautiful. We enjoyed breakfast on the terrace every morning with a view of the canal. Also enjoyed many bottles of Prosecco after a long day of sight seeing and even brought home a salad and pizza to go one evening to enjoy on the terrace. It was a very relaxing place and fit our needs perfectly! We had not thought of returning to Venice in the near future but now that we've seen most (if not all) of the main sights to see we would go back again in a heartbeat if we could rent this apartment again. Please give the owners our many thanks for one of the most memorable trips ever! Hope to be back again soon! On a sidenote: we stupidly left one souvenir item behind by accident (a rolled up water color painting that we purchased on the street but is always our most favorite purchase when we travel). I notified the management company and they located it for us and sent it back with no problems at all. Could not ask for better service!